to be successful in their chosen fields of business, education, sport and more importantly, life. 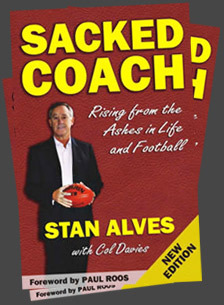 Excellent wingman though he undoubtedly was, Stan Alves might never had made the grade in league football had he not persisted at Melbourne when legendary coach Norm Smith thought him too lightweight and feeble. To enquire about any of the services offered please click more to contact Stan Alves. "He was entertaining, interesting and most importantly, inspirational. Exactly what we were looking for in a keynote speaker." "Stan's presentation really hit the mark. His simple but powerful messages were delivered with great enthusiasm and obvious sincerity. Staff in attendance were clearly motivated and uplifted by the experience." "Stan turned around a lot of negative thoughts to very positive thoughts. His presentation was terrific and he had a good connection with the audience. He was received with great enthusiasm..."
"Stan's passion and belief in his delivery style complimented the purpose of his motivational message to our sales staff. 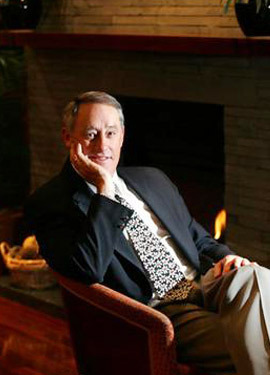 Stan was a pleasure to work with and made a positive impact impact..."
"Excellent presentation, feedback from attendees indicated that Stan's presentation had a high impact of identification for them, as well as being motivated by him. Several of his topics were referred to..."
"Of the 7 speakers we have had over the last 2 years Stan Alves is the stand out communicator. The guests were literally lifted out of their seats. " "Stan exactly read his audience and addressed the topic beautifully. Feedback from participants has been excellent." "I have received fantastic feedback from our clients and staff on your speech and in fact some clients have suggested getting in touch with you to discuss talking at their strategic business retreats. " "Feedback from participants was very good. Stan's enthusiasm and down to earth style was very appealing and overall he was entertaining, inspiring and very motivational... "
"Stan was the best speaker we have ever booked ! " SPL WorldGroup ( Australia ) Pty. Ltd.
"Exceptionally motivating, interesting and captivating. " "The team voted Stan's presentation highly. His reinforcement of some very key messages was something our leaders could take back to their teams. "